Sometimes, scoliosis is not diagnosed until adulthood, in this case we refer to is as adult scoliosis. In other causes, adults with ASA may have been previously been diagnosed with adolescent scoliosis. ASA can be divided into two types, progressive or stable. In those with a previous diagnosis of adolescent scoliosis monitoring progression is easy, as comparison of current x-rays to adolescent x-rays can be performed. Where scoliosis is not detected until adulthood however, determination as to whether the scoliosis is a pre-existing adolescent condition or a new onset of degenerative scoliosis can be difficult. As with other types of scoliosis, the factors which predispose an individual to the condition are thought to be hereditary. 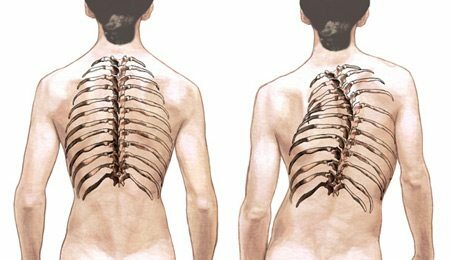 Adult scoliosis is most often simply the progression of adolescent scoliosis, where as de-novo scoliosis is caused by degeneration of the spine with age. 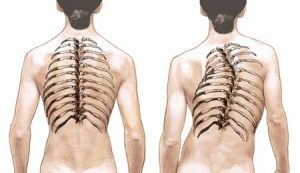 Adult scoliosis, unlike other forms, is usually discovered as the result of an investigation for back pain. Whereas juvenile and adolescent scoliosis rarely causes significant pain, adult scoliosis can be responsible for severe pain – often little relief is provided by the usual medical and complementary care. Counter intuitively, the pain caused as a result of adult scoliosis is not related to the size of the curve. Several good studies show there is little to no relationship between the size of the curve and the intensity of pain – therefore a 20 degree and a 55 degree curve have the same chance of causing pain in an adult. This means that a visual observation is not always sufficient to rule out scoliosis in adults, and a professional consultation is the best approach. Unfortunately, many health professionals – and even some scoliosis practitioners still belie that scoliosis does not cause pain. While it is true that scoliosis in children and young adults (even where a considerable curve is present) is not usually associated with pain, this fact is often conflated, leaving many believing scoliosis never causes pain.